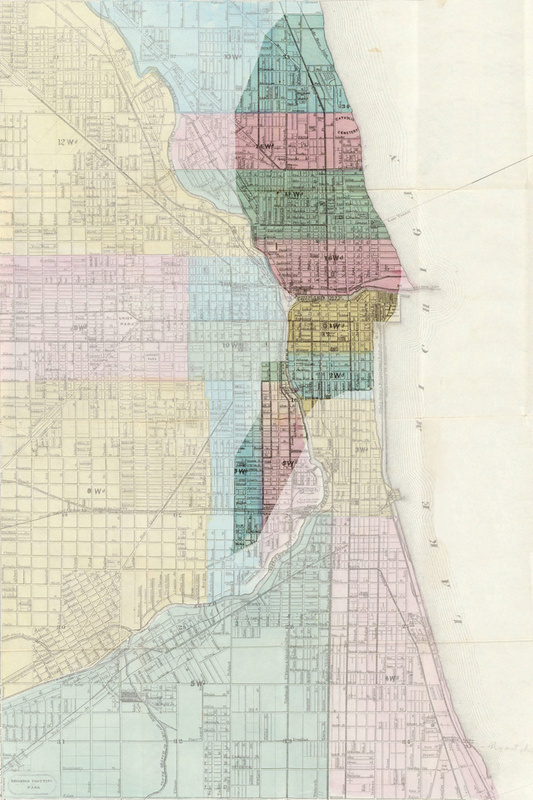 When the proverbial cow kicked over the proverbial lantern on a Tuesday night in 1871 Chicago, it set in motion an urban transformation that would see its hodgepodge of wooden buildings replaced with the Windy City we know today. Now, thanks to the data viz wizards at Esri and the patronage of The Smithsonian, you can compare the two cities block-by-block. 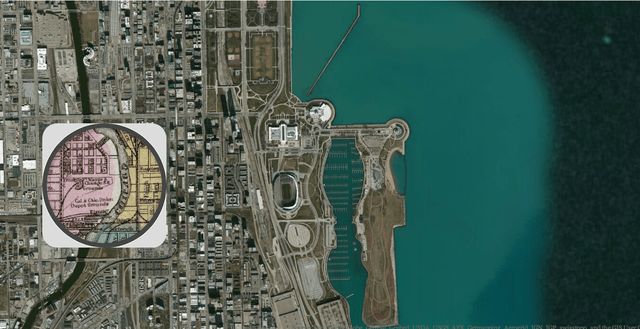 The magazine’s new interactive overlays two maps: One, culled from Google Maps’ API, shows Chicago of (roughly) today. 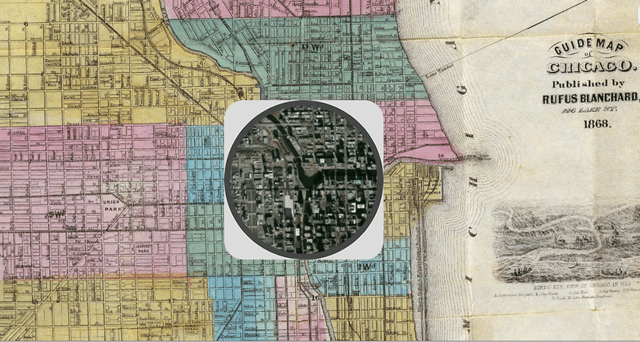 The other is a color map of the city drawn in 1868, three years before the Great Fire. Thanks to a bit of cartographic hacking from Esri, the SoCal data visualization firm, it’s easy to compare them by pulling a circle over the city. You can also swap views, and see the comparison in reverse.